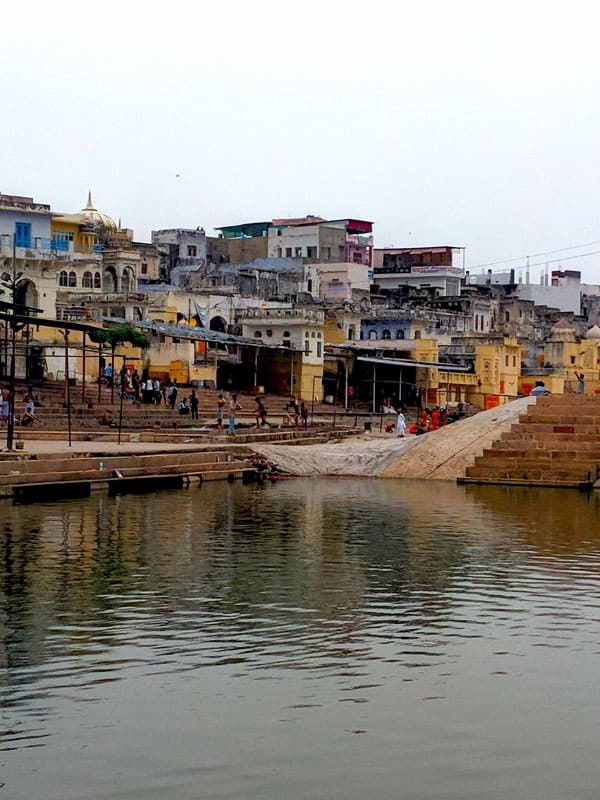 Pushkar is one of the most beloved spiritual getaways among the travelers all over the world. And the city is on my travel list ever since I read all the Hindu mythological stories about it from my mother. 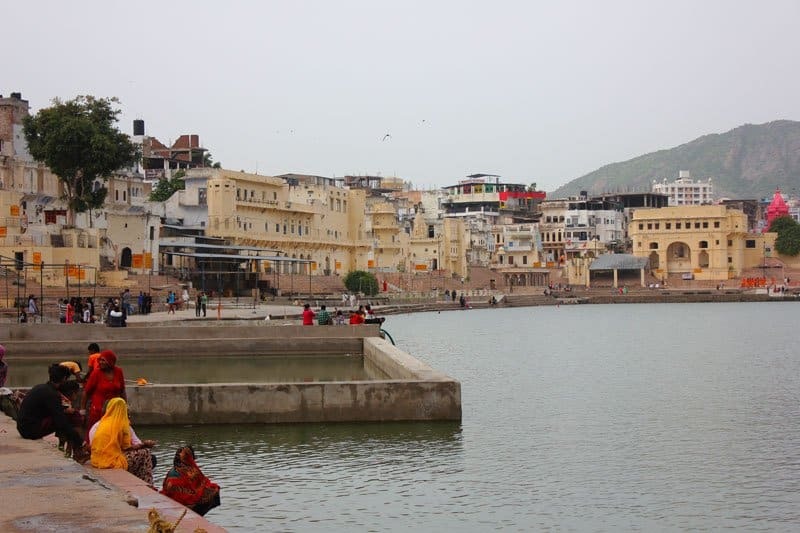 Finally, this August I got the opportunity to visit Pushkar, and we were guest of Hotel Brahma Horizon. It was the perfect getaway to stretch our limbs, sample some local food, and soak in the tranquility of a historic town. The much-needed break from the mayhem of a cosmopolitan! 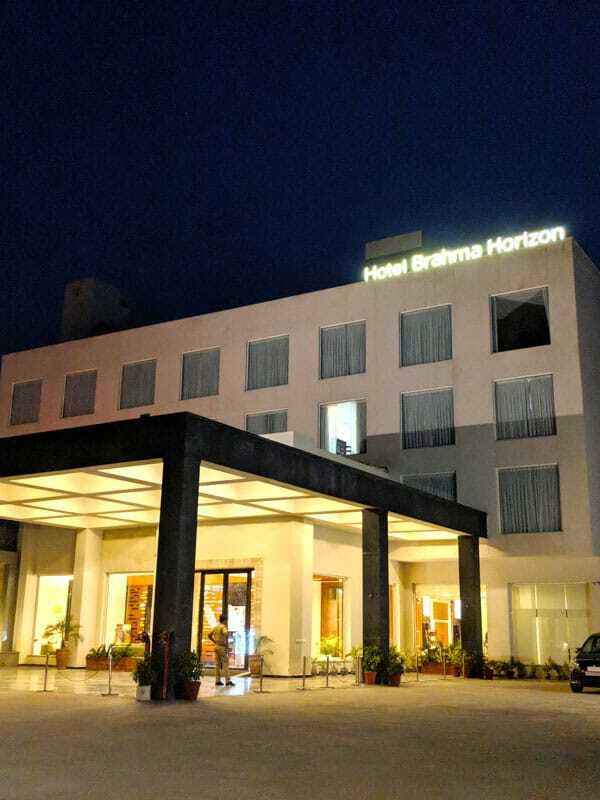 Hotel Brahma Horizon is an epitome of luxury and comfort providing remarkable service and unmatched hospitality in the laps of Pushkar since October 2016. It was a perfect space for an urban traveler like us! If this is isn’t enough to convince you about the hotel, I’ll give you five reasons to stay at Hotel Brahma Horizon. The hotel offers 32 spacious rooms and 6 suites to suit your style and comforts furnished with state-of-the-art facilities. 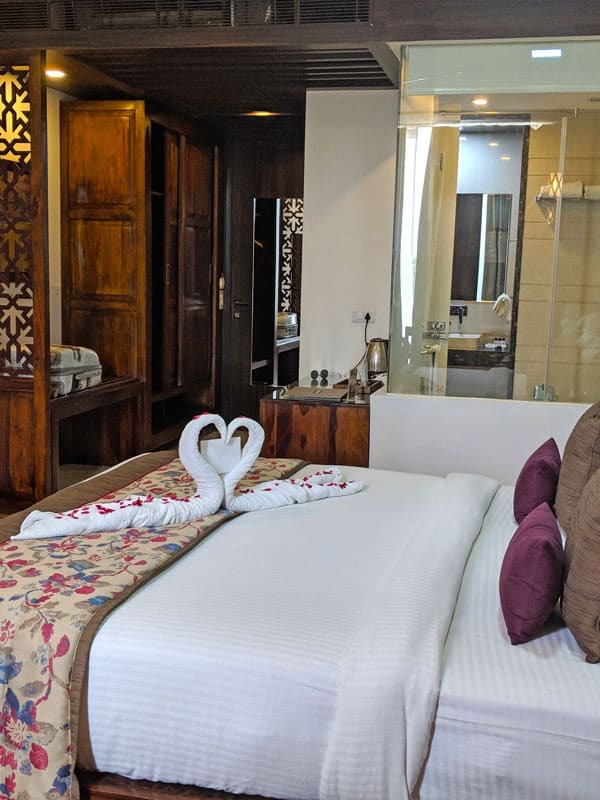 The deluxe king size rooms are quite spacious with the beautiful view of Aravali mountains. Each room is equipped comfortably with a spacious, modern bathroom with cubical shower. But my favorite part of the room was giant floor-to-ceiling windows overlooking the lush green lawn of the hotel. 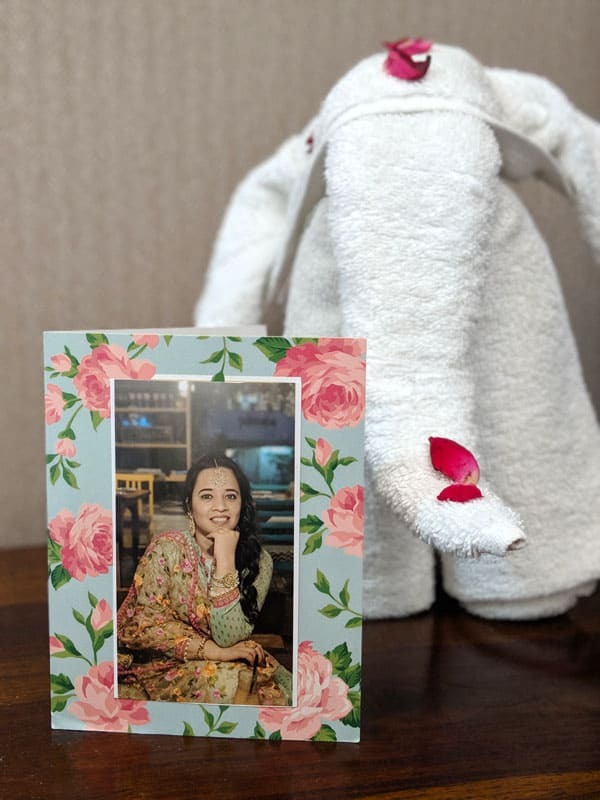 And most importantly it was the little personal touches in the room like our framed picture, a welcome note with flowers, loaded mini bar and a fully equipped coffee corner, that made our stay so comfortable. 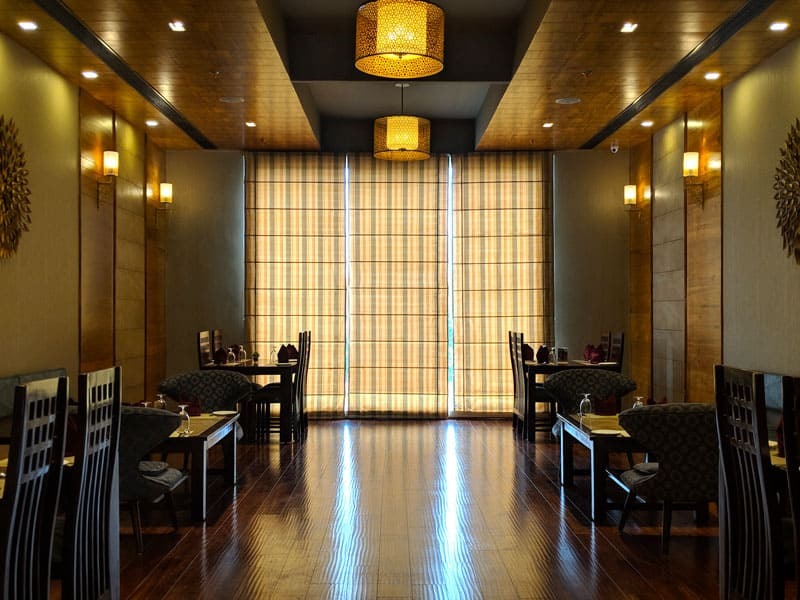 Hotel Brahma Horizon in Pushkar comprises of two signature restaurants Abbiocco and Lotus Café. 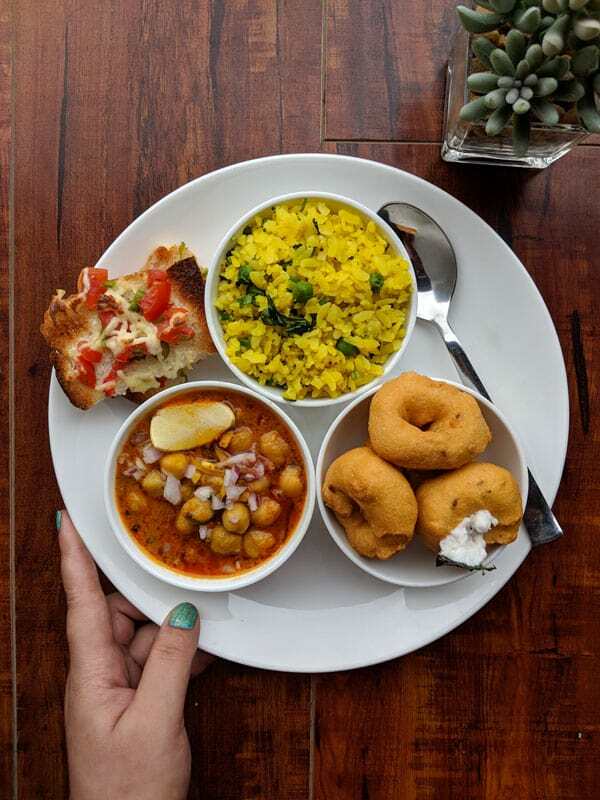 These two are 100% vegetarian restaurants. 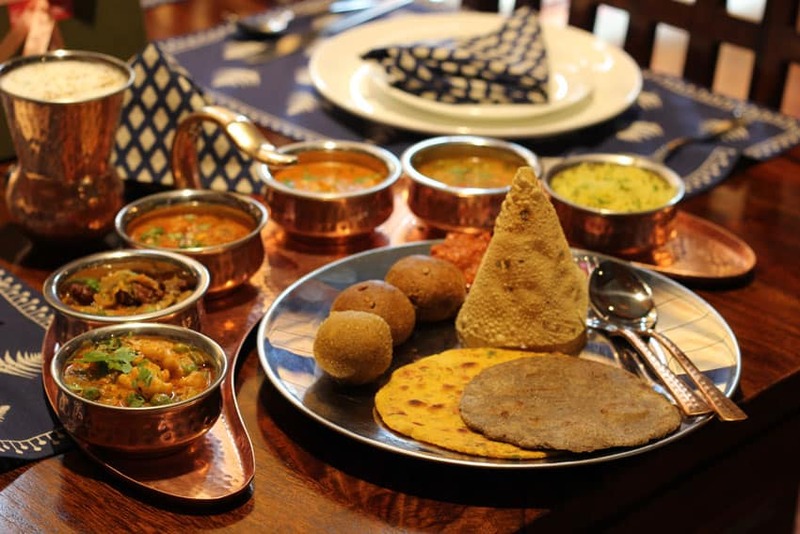 Abbiocco offers a multi-cuisine menu to choose from and serves a range of scrumptious delights with a wide variety of continental and Indian dishes along with the mocktails. 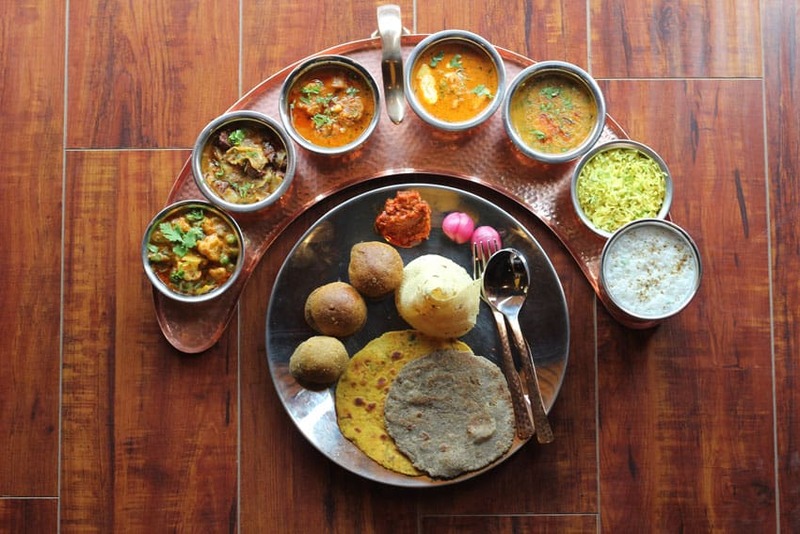 The showstopper of the menu is the traditional Rajasthani thali. 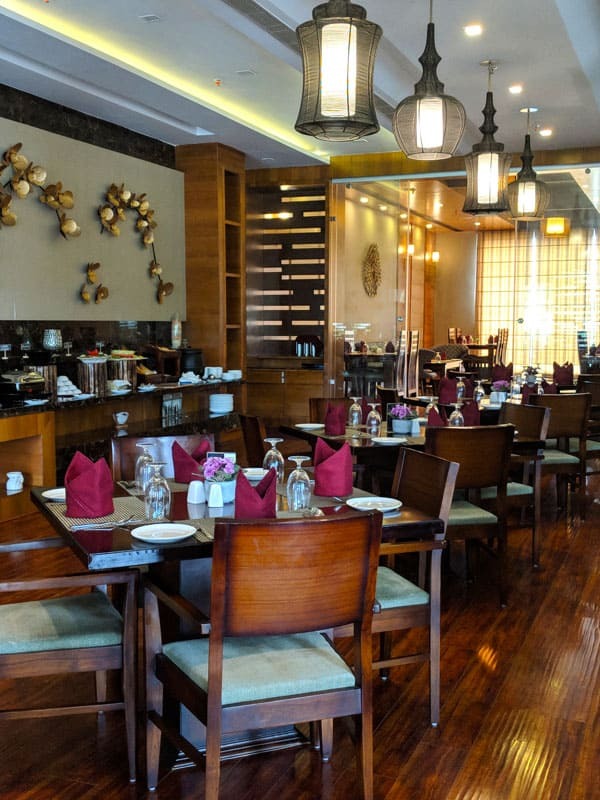 It is laced with regional dishes, and a definite must try if you are staying at the hotel. What I enjoyed most during our stay at the hotel was the grand breakfast buffet. It was full of delicious choices, and there is something for everybody. 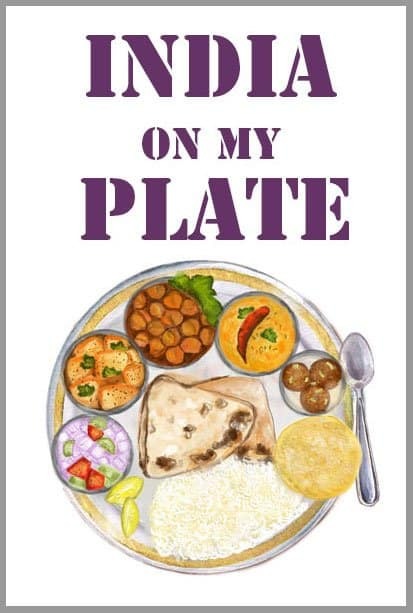 So if you are a breakfast lover like us, then this is the place for you in Pushkar. 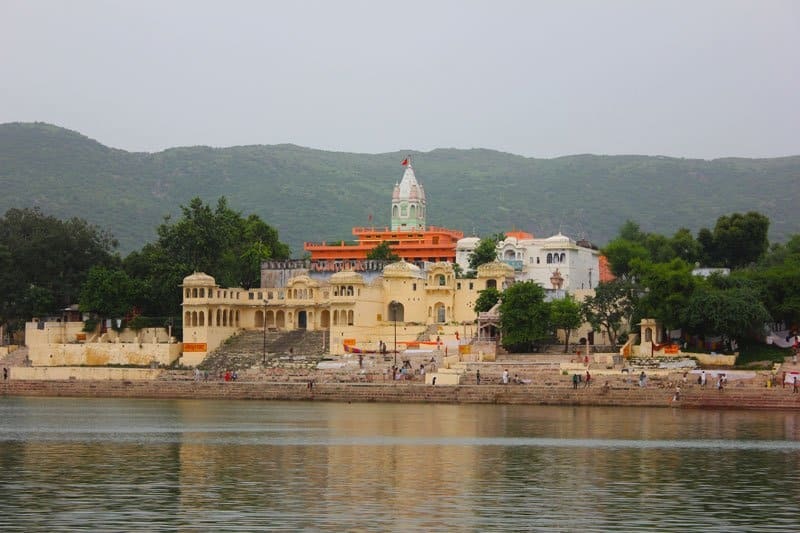 From Hotel Brahma Horizon it takes not more than 10 minutes to reach the main city of Pushkar. So you can enjoy the best of both the places – the chirpiness of the city and the quietness around the property. 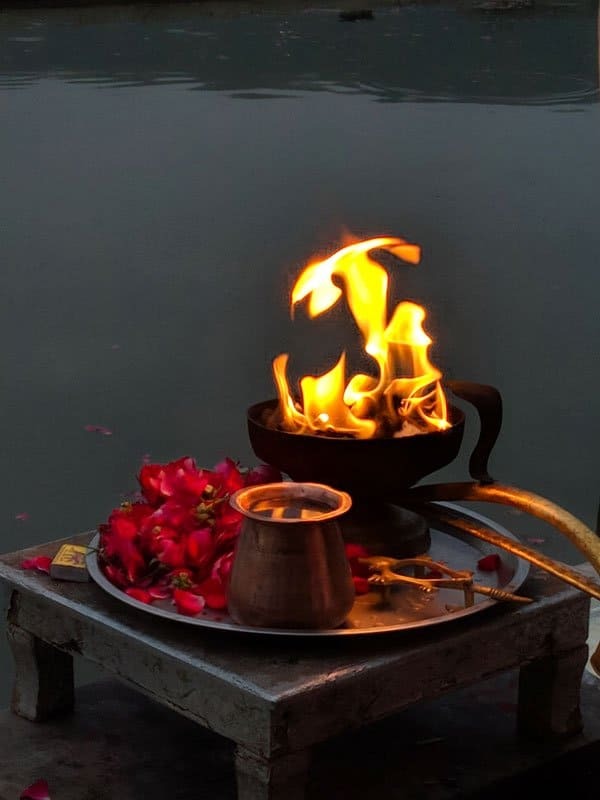 During the day visit the Brahma Temple, explore the Pushkar market, sample the street food and by the sunset sit beside the lake and enjoy the evening aarti. And by dinner time come back to Hotel Brahma Horizon, relax and enjoy a scrumptious meal peacefully. By the end of the day, it all comes to the great service. I think apart from fabulous rooms and good food; excellent service is one of the crucial criteria in selecting a hotel for the vacation. 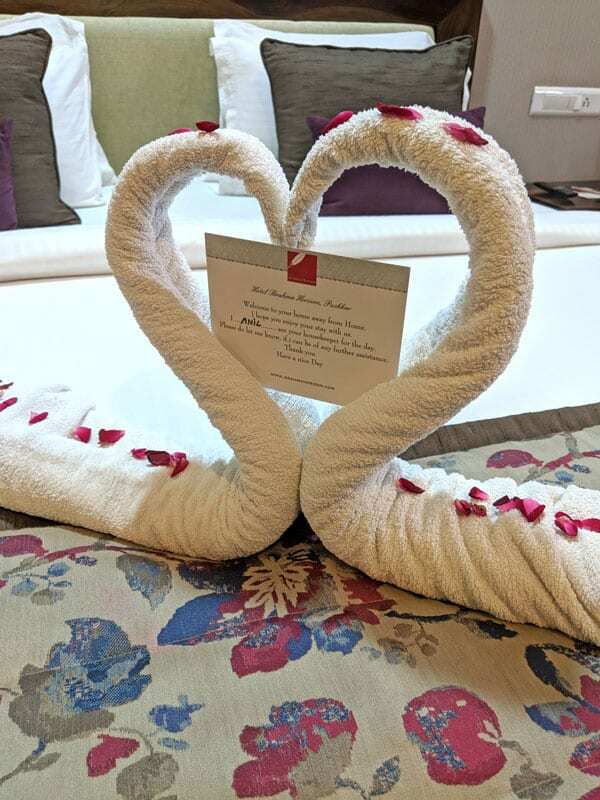 And the Hotel Brahma Horizon gets a big ‘A+’ from us when it comes to service. The staff left no stone unturned to make us feel comfortable, and it was all done with a big smile on their faces. If you are planning a trip to Pushkar and want to experience Indian hospitality, then stay at Hotel Brahma Horizon. If you aren’t in a mood to indulge in the chaos of the city, then relax by the pool at the hotel. 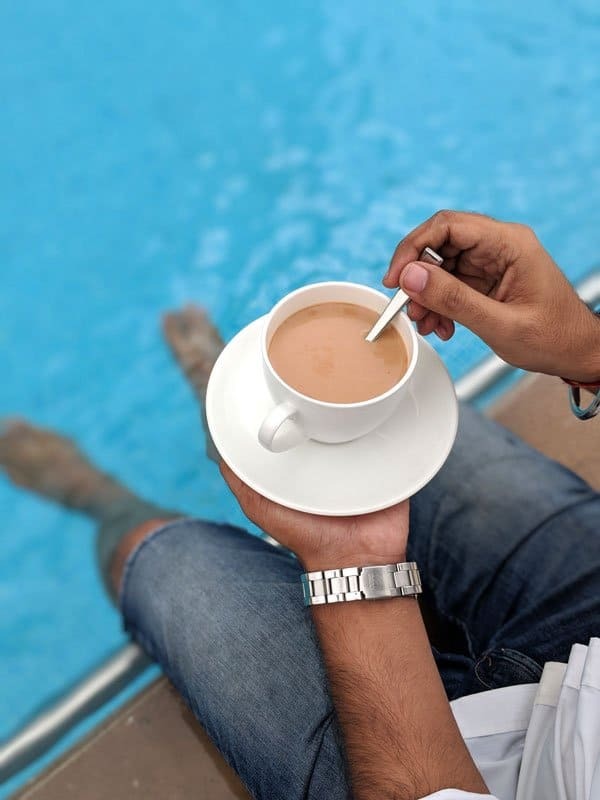 Either take a dip in the pool or sit beside it in the cafe called ‘Lotus’ and enjoy your cup of coffee. The pool is surrounded by the green patches and give you an unhindered view of the mountain range. 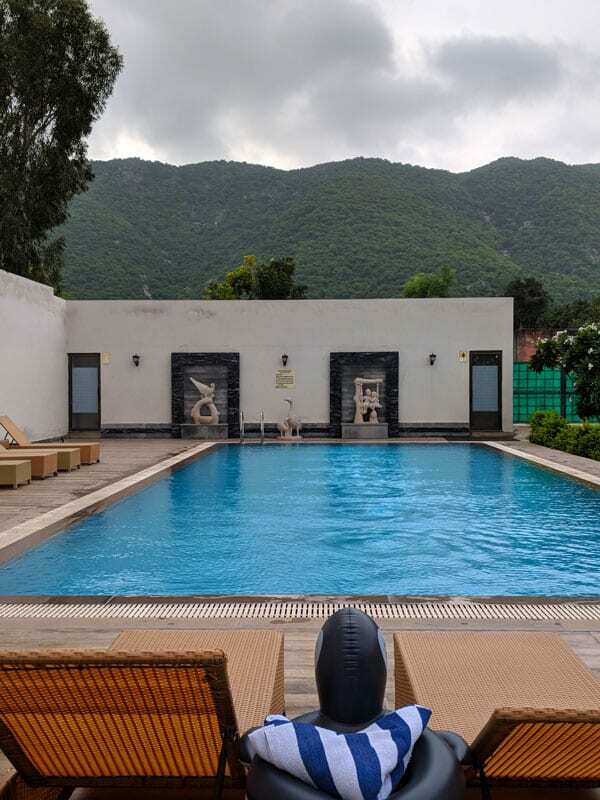 On the second day of our Pushkar trip, we decided to ditch the local site seeing plan and spent a few hours enjoying the sunset beside the pool at the hotel. 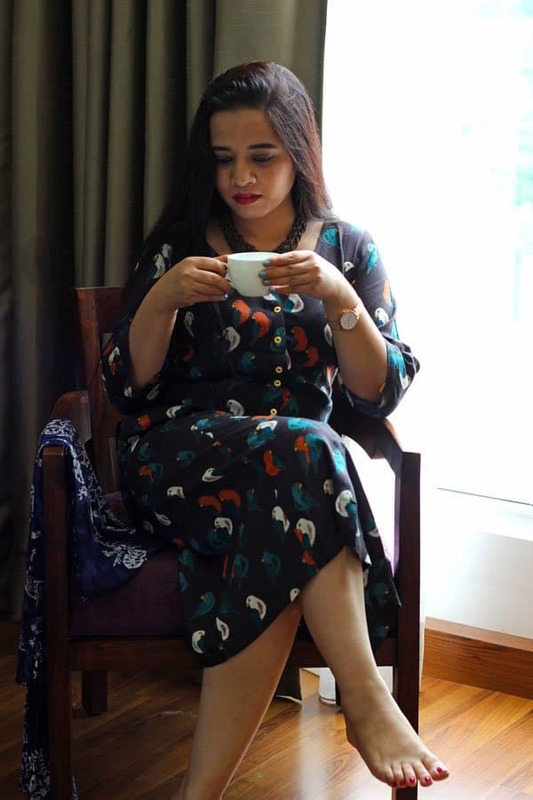 It was an enticing and rejuvenating experience we hardly get to endure in a chaotic city like Gurgaon. 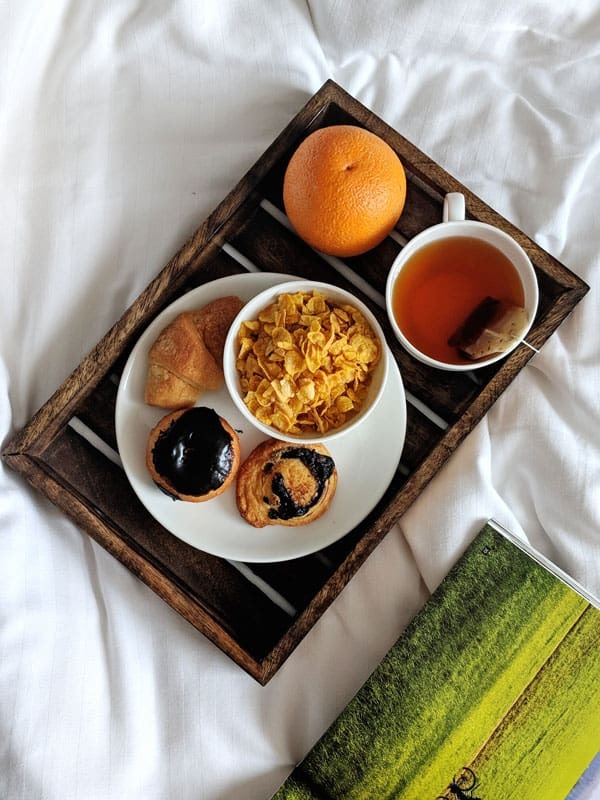 Disclaimer: The review was done on an invitation from Hotel Brahma Horizon, my opinion, and words are unbiased and based on my experience at the hotel. Kindly exercise your discretion, with the understanding that this is writer’s personal opinion.